Kindergartens in Israel will open an hour late Thursday, at 9:00 AM, as teachers protest an arson incident that destroyed a kindergarten in a moshav (cooperative farming community) in southern Israel called Heletz. Speaking for teachers, the Israel Teachers' Union said that police could have stopped the arson had they responded to pleas by the teacher to stop harassment inflicted on her by the parents of two of her students. 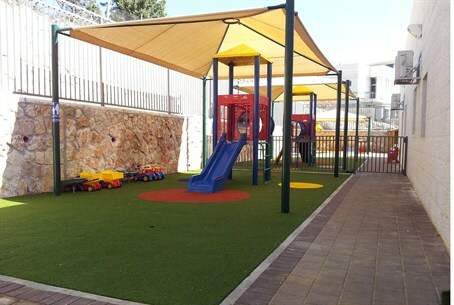 Earlier, the union had proposed delaying the opening of kindergartens located in the Ashkelon Coast regional council – but after an emergency meeting, it was decided to expand the opening delay to the rest of the country as well. For months, the Union said, the teacher has been complaining about harassment from the parents of two residents of the community who accused her of hitting their children. The teacher has denied the charges, and school and regional Education Ministry officials have backed her, saying there was no evidence against her whatsoever. The parents, however, loudly demanded that she leave the school, threatening her indirectly, and later directly, the teacher said. Several weeks ago, the tires of a vehicle owned by the teacher were found slashed. The teacher filed several complaints against the parents – but after questioning, the two were released, with police saying there was no evidence to connect them to the tire slashing or the harassment the teacher had complained of. On Tuesday, the teacher arrived at the kindergarten to find that it had been almost completely burned to the ground. The building had just undergone a NIS 100,000 renovation over the summer, but almost all the new equipment and facilities were destroyed in the fire. Police were searching for the two parents accused of harassment by the teacher, as they are considered the prime suspects.